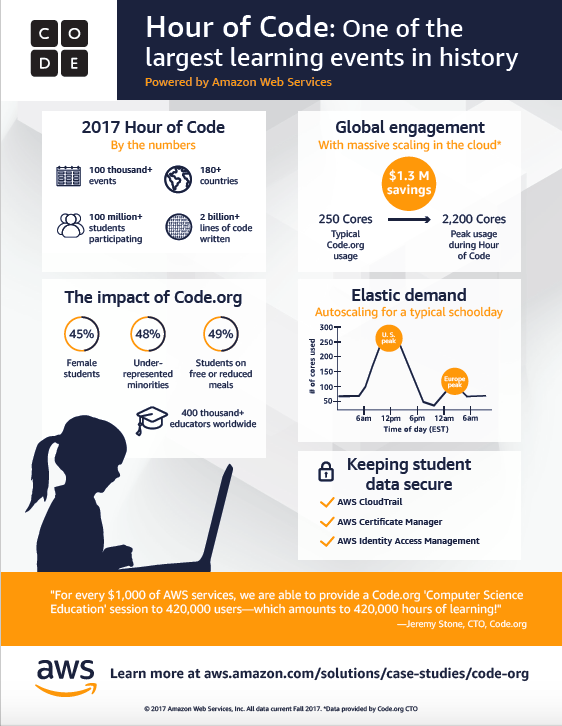 More than 100 million students in over 180 countries participated in the Hour of Code hosted by Code.org and powered by Amazon Web Services in 2017. Developing strong computational thinking skills is important to every student to prepare them for careers in today’s innovation driven economy. Check out this infographic for more stats on how the AWS Cloud powers one of the largest learning events in history.